I was born in Mashad on June 1975. I first got familiar with music from childhood.My initial exposure wasn't academic but through listening to Western and Persian music excessively. At the age of 12, by watching ‘roll on ‘the song of the country band named 'Alabama’, I was drawn to play the guitar. One night I dreamed a room full of guitars that a few years later my dream became a reality while nobody lived there anymore except two dogs. While loneliness was a constant feature of my stay at that home, there was a sound which never left and this time through bass and guitar’s strings, big drum and two dogs. The sounds we generated was annoying for surroundings. The Yellow Angel arrived at the right moment.Police, an old friend, wasn't anything to be concerned about. Seven months before Helal Ahmar performance, I met Mustafa Yavari. He was a dark character and despite his youth, he possessed an old and weary spirit. Mustafa in writing his poems and expressing a pure feeling of rock, inseparable from his own real life, had great effect on me. Mustafa died 2 months after Helal Ahmar concert on his birthday.The yellow dog also left 2 months later and the black dog was stolen with his collar. Then I left the house too and took with me the hollow trunk of quince and Agha Ghazanfar’s stone grave for remembrance. The little garden’s grass ended up, in autumn .The great silence ruled over the house for one year and then the place became a hole. I went Tehran and worked in a construction work shop and there the song ‘Kargar e Badbakht’ was formed. At the same time I had the experience of making music for two plays named ‘what you hear is a tuneless instrument of silence’ and I also made music for a long film named ‘Yellow wall paper’. The decade of 80’s: war, Ahangaran, joining Islamic society of school, break dance, thriller, dead dance, mixture of a noisy distressing family and my interest for playing guitar which sum up to a racket. Considering society and family, Metal was a tranquillizer for me and when ‘The Edge of Darkness’ by Eric Clapton came out it was as if it exploded my whole school with plutonium. By the time I was 23, after with diverse training in various fields, I bought a Guitar, the wood that seemed most necessary to me of all things and people.Rock’s screaming, another religion named Blues, Metal’s non stop crying, Country’s greenness, and depth of Folk music. As I was studying in Tehran, I bought an accoustic guitar and took my first guitar lessons and harmonica with Fleming Khoshghadami , in Country and Blues styles. After a while the Fleming concert was held at Farabi hall with my management which was the first Country music performance after years in Tehran. Then I took a short term class with Kamran Yaghmayee to learn electric guitar techniques especially in Blues and Rock styles. After returning to Mashad in order to set up a rock band, I met different people playing music; as a result a concert was held, covering Blues and Rock songs. I concentrated more on group rehearsal; thus was set up a band named Mud( http://www.abdibehravanfar.com/english/about/mud.php ) . Because of rehearsals, the band’s members and I learned different music styles through practical experience.This life with music had great impact on the kind and way of making songs.Sometimes my own experiences combine with others’ experiences and made my music. Creating and bringing to existence comes from the life and way of living; also, in all music styles the instruments are in service of players to show musicians’ feelings toward their immediate surroundings, not in a complete vacuum of not listening and not seeing; naturally it’s not possible to react and show feeling just with knowing techniques and learning academically. In 2006 I moved to Armenia to study Jazz; consequently I experienced playing at bars and cafes, even at metros and sidewalks; furthermore 4 concerts were held. 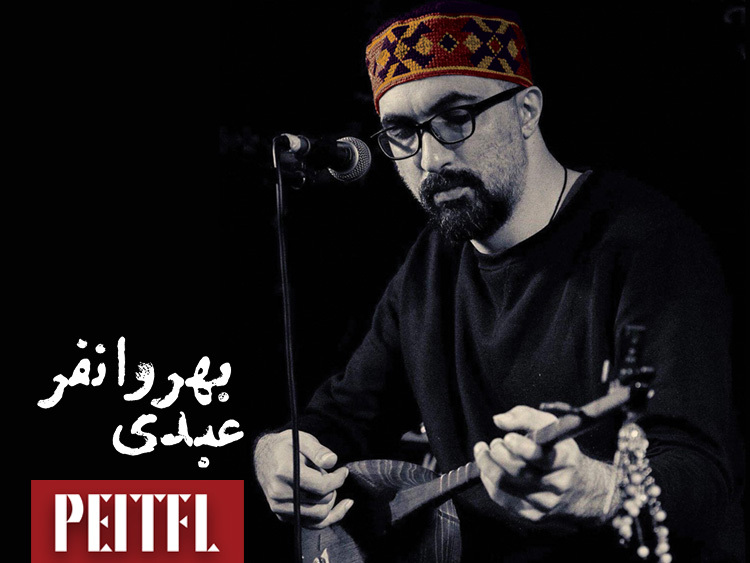 When I returned to Mashad, I recorded the album named ‘Shalamroud’ , I learned Dotar with Ali Gholamrezayee Almajughi and it was accompanied with learning the ancient folk tales of Iran which caused my closeness toward Maghami and folk music,and it had its effect on the album’ Kokheo & Kalakhet’. The two albums "Shalamroud"in 2008 and Kokheo&Kalakhet" in 2009 were released by two production companies in the United states. Learning Iranian Folk instruments has acted as an opening for me to Folk and local music and my practical acquaintance with Bakhshies and Asheghs. 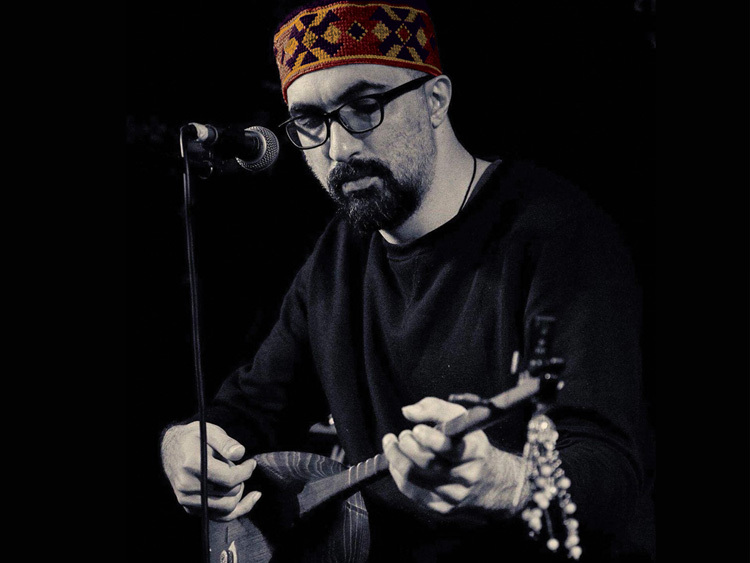 Learning side by side the great Khorasan folk musicians has had a major impact upon my work, not only playing folk instruments but also combining them with Rock and Blues orchestras. In this way I make my claim to a unique and eclectic sound.